The FSC approves our buttons! 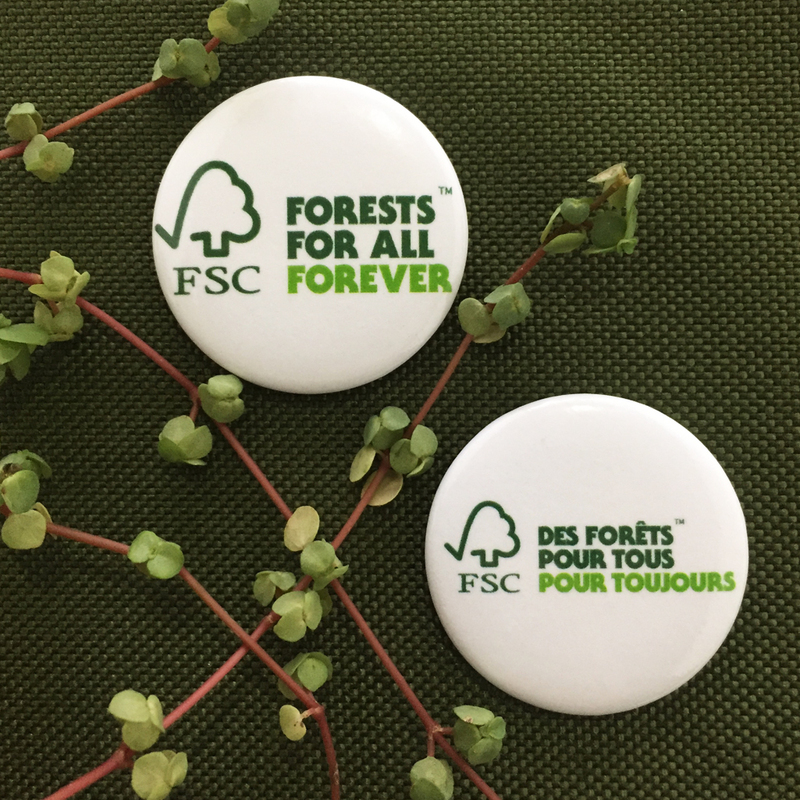 Because of our high standard of sourced materials used in the manufacturing of our custom buttons, and the 5-star level of customer service, The Forest Stewardship Council (FSC) chooses Six Cent Press as their #1 button supplier. The Forest Stewardship Council (FSC) is an international non-profit organization established in 1993 to promote responsible management of the world’s forests. The FSC does this by setting standards on forest products, along with certifying and labeling them as eco-friendly. FSC forest management certification confirms that the forest is being managed in a way that preserves the natural ecosystem and benefits the lives of local people and workers, all while ensuring it sustains economically viablility. To secure this certification, FSC members have agreed a set of criteria that forest managers or owners have to meet.